During the changing seasons it's always a little harder than normal to get a good outfit picture. If I don't find a "reason" to step away first thing in the morning I end up with photos like these - a little over saturated and shadowy for my liking. 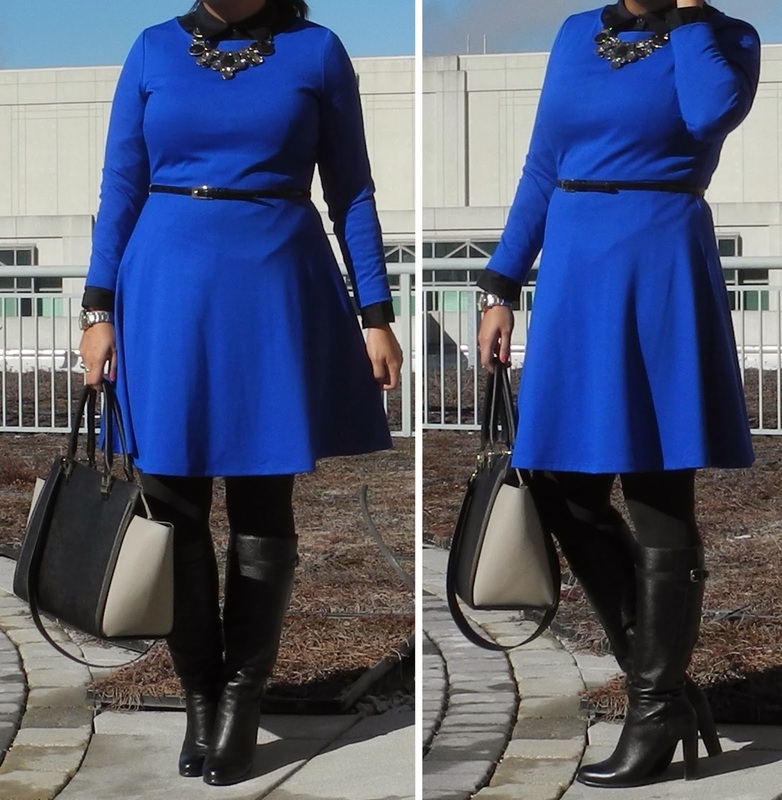 While you can't quite see the full effect of the black button down under the dress, the color combination made the cobalt pop even more than usual and the hint of sparkle makes it fun (yet appropriate) for day to night transitioning. You look Great in Blue & black and those boots. . . . .well you know. @Natalia - Thank you! I think cobalt is one of those colors that looks wonderful on most people - and layers really well too!